If you are a diary consumer, listen up!! 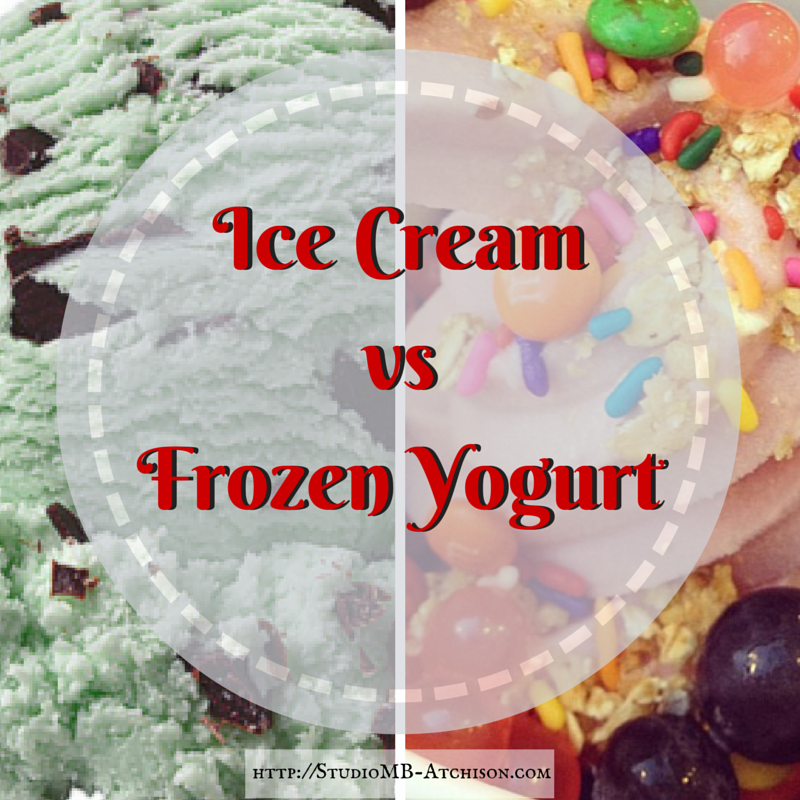 Ice Cream vs Frozen Yogurt: the facts you may not know! Setting aside the big “yes/no to dairy” debate for a moment, this article is for those of you frozen dairy consumers who don’t plan on giving it up any time soon (not sure if I can completely give it up either, you’re not alone- the struggle is real! For those of you that know me well, you know that ice cream AND frozen yogurt are a big weakness for me; especially when Studio MB was located across the street from a local ice cream shop..boy did that get me in trouble! lol). To be labeled as ice cream, a frozen treat must have between 10% and 16% milk fat. Yogurt is made with cultured milk (yogurt), not cream, so it doesn’t have a fat requirement. However, don’t go jumping for joy just yet. The freezing process kills the probiotics found in yogurt, so cross that “health plus” off your list. One cup of regular vanilla ice cream has 275 calories, while one cup of frozen yogurt contains 221 calories. Not much difference. Don’t forget to consider toppings that you may add on top. Believe it or not, you’ll often times find more sugar in frozen yogurt than ice cream (to mask the bland flavor). For example, 1/2 cup of homemade banana frozen yogurt has about 12 grams of sugar, while vanilla ice cream contains about 10 grams of sugar. Remember, extra sugar that isn’t burned off turns to fat in the body- yikes! But wait, before you go grabbing that tub of ice cream, remember that fat content is higher in ice cream, which in combination with eating other high-fat foods, can increase your risk of heart disease. The American Heart Association recommends getting no more than 20 to 35 percent of your calories from fat, and no more than 7 percent from saturated fat. Whether you choose ice cream or frozen yogurt, steer clear from low-fat and fat-free varieties, as these are loaded with harmful chemicals and potentially more sugar. Read the label, portion control (recommendation is 1/2 cup), moderation, and watch those sugary toppings!